NAIROBI, Kenya, Feb 25 – The Kenyan rugby fraternity was thrown into mourning on Monday with the death of Impala RFC Richard Sidindi after allegedly drowning at the club’s swimming pool while doing a recovery session on his own. “It appears that there was some swimming pool incident where Sidindi was alone but we are still gathering information on what really happened,” Impala Director of Rugby, Fred Ollows, who was at Kilimani Police Station to record a statement told The Daily Nation. Sidindi who is survived by a widow and daughter played for Impala’s ‘B’ team for 30 minutes during last Saturday’s Erick Shirley Shield (ESS) match against Homeboyz. He was part of the A team that lost to KCB in a Kenya Cup match on February 16. 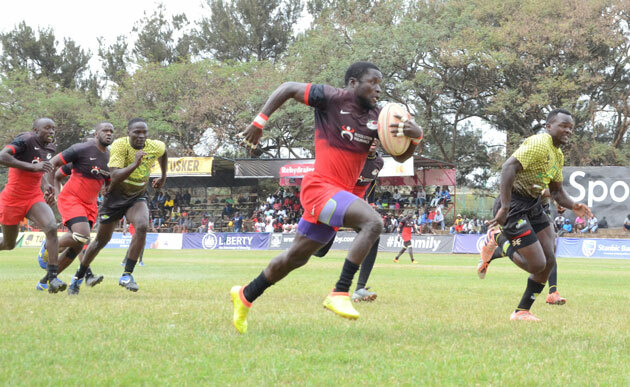 The fullback joined Impala from Kisumu RFC in 2011 and has been a core figure of the side and was also part of the Kenya team at last year’s Safari 7s. We mourn our fallen Braveheart Richard Sidindi @SidindiAkoth . The rugby fraternity poured out to social media to send out their condolences to the family of Sidindi whose sudden death came as a shocker to many. “Our heartfelt condolences go out to our brother’s, @ImpalaSaracens, on the passing on of Richard Sidindi. Rugby has lost a great servant to the game and he will sadly be missed. We pray to God to provide comfort to his family and friends and rest his soul in peace,” Homeboyz RFC said on their official Twitter account. The post Kenyan rugby fraternity thrown into mourning appeared first on Capital Sports.